We take all computers and electronics! E-waste and computer recycling has never been this easy! For many of our customers, we offer free computer recycling. The majority of our pickups are NO CHARGE. 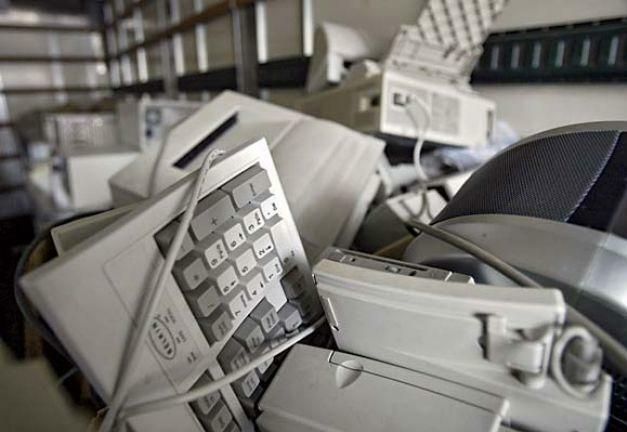 We offer free pickups and e-waste recycling for large amounts of materials including: computers, servers, laptops, cell phones, phone systems, BBU, copiers, printers, networking equipment, switches, monitors, and more. In addition, we also quote reasonable rates for small pickups. We serve throughout the Greater Boston Area and southern New Hampshire. All items are recycled to EPA regulations. A certificate of proper recycling is provided to all clients. Certified Disk Drive Destruction is also available upon request. Call 978-263-1072 or email us now! We proudly serve all of Massachusetts and Southern New Hampshire including, but not limited to the cities and towns listed on our website. We offer computer and electronics recycling to the Financial District in Boston, MA weekly.